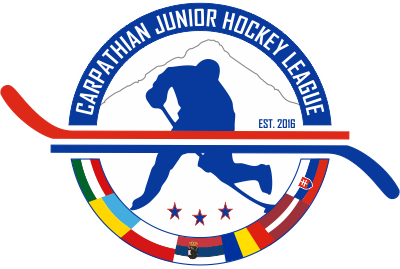 Last summer TJHN reported on a rumor that would have the Ontario Hockey Leagues Brampton Battalion relocating. Those rumors have once again resurfaced and are being heard more loudly this time around. The Northern Ontario Junior Hockey Leagues North Bay Jr. Trappers Chairman and Director of Operations Tim Clayden confirmed the Battalions interest in moving to North Bay yesterday. “No question the Battalion has been courting the City of North Bay in order to move their OHL hockey club here,,” said Clayden. Speculation has the only hurdle being 14 Million in rennovations that would be needed to the Memorial Gardens, and where that 14 million would come from. Clayden has suggested that the Battalion match 14 million in taxpayer dollars for the Gardens and use that money to build a new state of the art arena. "Frankly, the Battalion ownership have tons of money and should put their own monies into renovating Memorial Gardens and not the tax payers,” Clayden continued. While some have specuated that this would cause a logjam ay the memorial gtardens whan it comes to using available ice, that simply would not be the case. The Nipissing Lakers mens hockey team currently share the arean with the Trappers, and Nipissing Lakers women’s hockey team are set to start in the 2013-14 season. Odd man out? More than likely the Trappers would be looking for a new home. An NOJHL team can not compete with an OHL team for ticket revenue, advertising dollars and fan support. TJHN has learned that Clayden has been speaking to hockey leaders in cities like St. Ignace, Michigan, Orangeville Ontario and Manitoulin Island about possibly relocating the Trappers. Publicly Clayden is claiming he wants to keep the team in North Bay by moving it to West Ferris. Claiming that if the OHL came to town and the Trappers played out of West Ferris under a same similar contract that they currently have with the City of North Bay. That they would keep their fans, and the Battalion and the OHL would have their own fans. Citing OHL ticket price differences, Clayden thinks that the fan base of the Trappers will stay with them and not go toward the OHL team. Naieve? Expectations such as this certainly would be. If the Battalion move takes place this summer as rumored, the Trappers will need to find a new home quickly. Ticket pricing differences aside, value is in the eye of the purchaser, and the OHL value is perceived to be the highest outside of the NHL. Manitoulin Island is the most likely destination. Manitoulin has had an NOJHL franchise in the past and is familiar with the people within the NOJHL administration and management. Orangeville already has a Junior C team that has not been contacted about any potential move. Any move to St. Ignace would not only require the approval of Hockey Canada but would also require USA Hockeys approval. 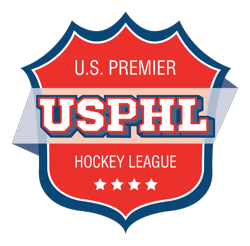 USAHockey is unlikely to support this move as another group is looking to place a USA Hockey sanctioned team in St. Ignace next season that would not require that dual approval. North Bay will get a lot of attention this spring as it hosts the Dudley Hewitt Cup. A lot of that attention will be from the OHL as every team sends representatives to scout the playoffs. The Trappers, and NOJHL may be making the final sales pitch during those events to their own detriment.